This is a carnivor’s Protein Cheesecake. That’s right, I made it using beef protein powder. 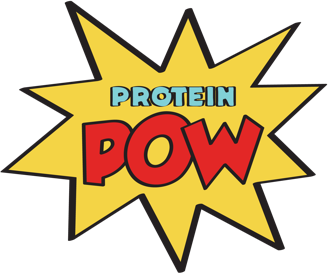 Now, if you don’t have beef protein powder, don’t worry: just use whey – it’ll do the same job. For the crust, I only used one ingredient: almonds! It really doesn’t need much else because the filling holds it together. You COULD add a nut butter to the ground almonds (or some date paste) but I really liked the simplicity of this recipe because you don’t have to do anything to to get the ‘crust’ – you just pour the filling on top! OK. Let me just give you the recipe because this one’s a keeper! 1. First, add the ground almonds on the bottom of a springform tin (I used a 6 inch one) and flatten them with a spoon. 2. Then, blend the kessella (or Quark or blended cottage) with the protein pow, eggs, and coconut flour until you get a smooth batter. Add some sweetener if you want it sweeter (I didn’t add any because I think it’s fine but listen to your buds on this one). Once blended, pour it all on top of the ground almonds. 3. Add the espresso on top of the filling and move it around with a spoon to form some swirls. You could blend the espresso WITH the filling but if you add it on top it looks nice. 4. Finally, bake it at 170 C (332 F) for about 35 minutes or until your house smells like heaven and, when you shake the cheesecake, it wiggles a bit in the center. What you DON’T want to do is bake it until it’s all cooked through, that’s the surest way to ruin a cheesecake – protein or otherwise. You want it to to be taut to the touch on top and to wiggle in the center when you shake it. It’ll set as it cools and stay creamy and yum yum yum derommmm . 5. Once it gets to this point, remove it from the oven, and let it cool before you remove it from the tin. Then, slice it aaaaand… ENJOY!!!!!!!!!!! PS: Don’t forget to get a copy of my cookbook and also make My Dad’s Protein Chesecake from page 65!!!!! !